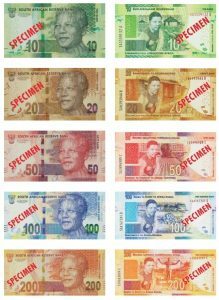 The South African Reserve Bank (SARB) will be launching its first commemorative banknote series, in celebration of the first democratically elected president Nelson Mandela’s birth centenary. These notes will cover all denominations – R10, R20, R50, R100 and R200. It is envisaged that these notes will be issued into circulation by 18 July 2018. 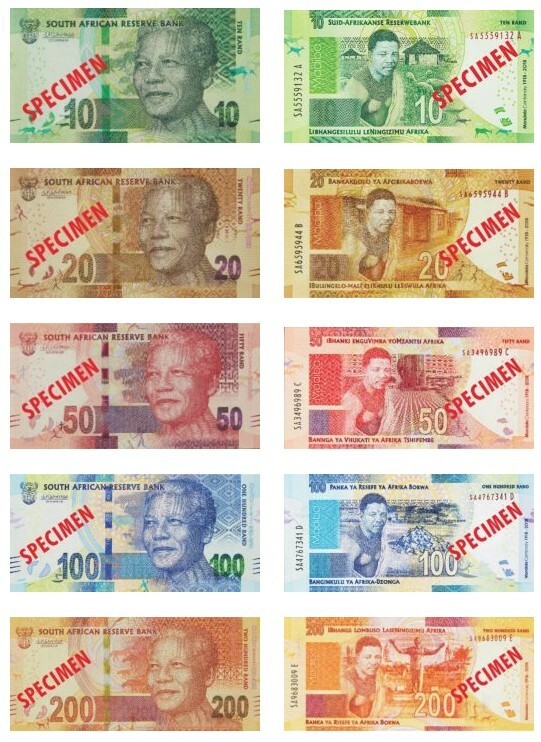 These commemorative banknotes will co-circulate for a limited time, together with the current Mandela banknote series, and both sets will remain legal tender.